The dielectric and insulator are differentiated from their applications. One of the major difference between the dielectric and insulator is that the dielectric stores the electrical charges while the insulator opposes the flow of electrons. Some other differences between them are explained below in the comparison chart. Definition The material in which an electric field can develop with the minimum loss of energy is known as the dielectric. The substance which have low conductivity and which create obstruction in the flow of current in known as the insulator. Charges	 Store the charges Obstruction to the charges. Example	 Dry air, vacuum, distill water etc. Cotton, plastic, mica etc. Application	 Capacitor, power cable etc. Conducting wires, in high voltage system etc. The dielectric material is a type of an insulator which has some free electrons. It becomes polarised in the presence of the electric field. The polarisation is the property of the material in which the positive and negative charges of the material are shifted in the opposite direction. The polarisation reduces the overall field of the material. The storage and dissipation of the electric energy are the main properties of the dielectric material. The conductivity of the perfect dielectric material is zero. The common example of the dielectric is the capacitor. 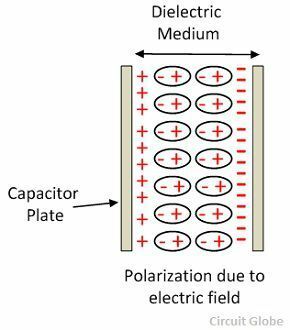 The polarisation between the parallel plates of the capacitor increases the surface area of the capacitance. The material which does not allow the electric current to pass through them is known as the insulator. The insulating material does not have any free electrons because their molecules have the strong covalent bond. The resistivity of the material is very high as compared with other material. Resistivity is the property of the material that shows the strong obstruction against the flow of charges. The ebonite, paper, wood, plastic are some of the examples of insulators. The material which stores the electrical energy in an electric field is known as the dielectric material, whereas the material which blocks the flow of electrons is known as the insulators. The dielectric material becomes polarised in the presence of electric field, whereas the insulators do not get polarised. Note: The polarisation is the property of the material in which the positive and the negative charges are moving in the opposite direction. The molecules of the dielectric material are weakly bonded whereas the molecules of the insulators are strongly bonded together as compared to the dielectric. The dielectric material has high dielectric constant, whereas the insulator has low dielectric constant.The dielectric constant measure the storing capacity of the material. The dielectric material stores the electric charges, whereas the insulator block the electric charges. Dry air, vacuum and the distill water are the examples of the dielectric whereas the cotton, plastic, rubber are some examples of the insulators. 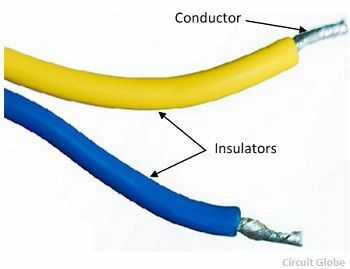 The most common application of a dielectric is a capacitor, and the insulators are used in the conducting wire and cables. Almost all the insulator behaves like dielectric, but all the dielectrics are not like insulators.